(Reuters) - Hong Kong's Cathay Pacific Airways Ltd projected its annual profit at more than double analyst estimates as its turnaround plan designed to cut costs and boost revenue pays off, sending its shares surging nearly 9 percent on Wednesday. Benefiting also from improving airfares, Cathay forecast it would swing to a profit of about HK$2.3 billion ($293 million) for 2018 after two straight years in the red. Before the announcement, 15 analysts polled by Refinitiv I/B/E/S had on average expected the airline to report a profit of HK$1.1 billion for 2018, versus a HK$1.25 billion loss in 2017, as out-of-the-money fuel hedges rolled off. Shares surged by as much as 8.8 percent on the promising outlook, their biggest one-day jump since October 2011. Cathay said in a statement that its passenger business had benefited from capacity growth and improved revenue management, with average airfare prices up despite competitive pressures. It appears passenger yields, a proxy for airfares, have increased faster than expected for Cathay, Jefferies analyst Andrew Lee said, adding the outlook for 2019 was positive too. "We estimate the passenger segment will continue to benefit from controlled passenger capacity expansion and yield management strategy," he said in a note to clients. Cathay's January traffic figures show it managed to fill a higher percentage of seats than last year even as capacity rose 7.1 percent, on strong business class demand and pre-Chinese New Year traffic in economy class from Hong Kong and mainland China. Its yields also rose for the month. The improvements come as Cathay, like Singapore Airlines Ltd, pursues a turnaround plan to lower costs and boost revenue to better compete against rivals from the Middle East, mainland China and budget airlines. Since launching its revamp programme in 2017, Cathay's initiatives have included cutting jobs at its head office and overseas ports, adding more economy class seats to older Boeing Co 777 jets and changing its fuel hedging policy. 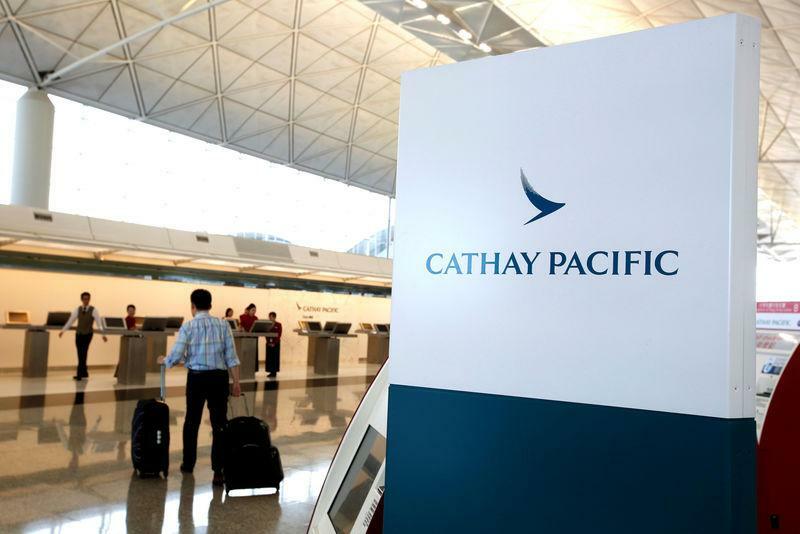 "The company's transformation programme has had a positive impact," said Cathay, which is set to announce its annual results on March 13. Cathay, which relies on cargo for about a quarter of its revenue, said the freight business was also strong, with rates up and volumes higher. The airline last year said U.S.-China trade tensions had not hurt its business, but that it was keeping a close eye on the situation in case trading volumes shifted. Cathay had benefited in November from customers speeding up shipments to beat the imposition of U.S. tariffs, BOCOM International Deputy Head of Research Geoffrey Cheng said. But its freight volumes slipped 5.9 percent in December after a temporary truce between the United States and China on new tariffs was declared early that month. It dipped another 5.2 percent in January as the pre-Chinese New Year rush was not as strong as last year. The cargo outlook this year is "a bit murky", Cheng said. The world's top two economies are holding talks to settle their dispute. Tariffs on $200 billion worth of Chinese imports are scheduled to rise to 25 percent from 10 percent by March 1 if there is no deal, although U.S. President Donald Trump has suggested he was open to pushing the deadline.